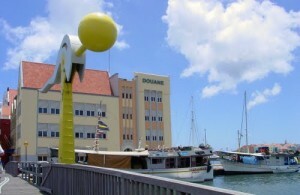 WILLEMSTAD - Recently the Advisory Board (RvA) published an advice given on the proposition to initiate a so-called E-Zone at Dokweg (E-Zone Dock Company). Damen Shipyard Group and CDM Holding Inc. have recently signed an agreement which entails that the Dutch company will take over the operations of the Curaçao Dry Dock. One of the conditions, according to this agreement and in the government’s concept, is to designate an area that will be used as an economic zone. But taking into account that the operations of the dry dock on one side and the initiation of an E-Zone on the other side, are two completely separate activities, there will be certain aspects that are important. The government will lose certain tax incomes. According to the RvA, the reason for this is the number of companies that will be established in the E-Zone and that they will enjoy tax exonerations. This means an income loss for the government. But the government, in the financial chapter of the proposal, did not calculate how much they could lose if they continue with this proposition. RvA believes that the government could at least give some indication as to what the costs and incomes are for the execution of this proposal. RvA hopes that the government could give some details as to what the losses could be and how these would be compensated. In this proposition, the government mentions also how much jobs will be generated and what the investments will be in the dry dock. There will also be a distribution of profits between the investors and the government. But, according to RvA, it is still unclear what the financial benefits are. Furthermore, the RvA indicates that to establish a permanent control in the E-Zone, the government will have to hire more customs personnel. Customs will have to be there 24 hours per day, 7 days per week with a minimum of 3 officers. And taking into account the average salary, this means an additional 300 thousand guilders annually.